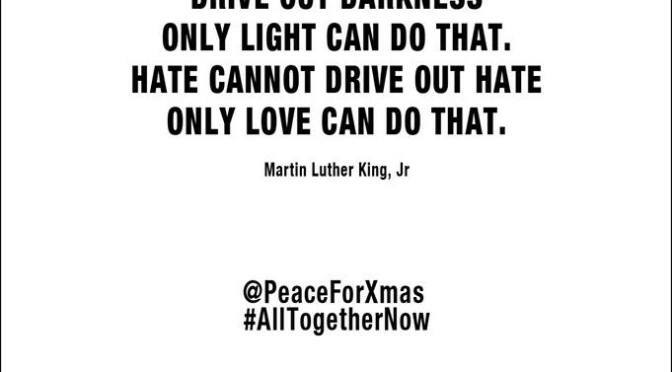 Today 15th December 2014 is the official release date for The Peace Collective ; #AllTogetherNow, a project involving Clubs and youngsters from all Clubs in the EPL and Bundesliga. It also intrinsically contains two of Me Firm , Keith Mullin whom I sit with in the Park End and whom comes on El Autobus Loco and Simon Britton though miles away is wearing an Everton In The Community Wristband in the Promo Shots. So , their bid to overcome the dual Media Machines of Ebola Bob and Mr. X-Factor, is well , kinna new to me. I gotta be honest. In the first of a trinity of Pieces related to the #AllTogetherNow Project for Christmas #1 2014. This is an initiative by My Friends, My Brothers, yet it also about Football, The Working Classes and Peace . 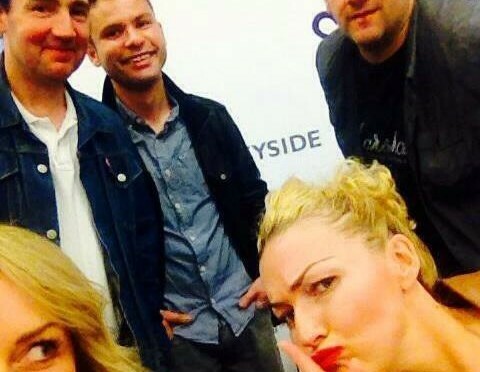 Mullin’s Interview with Louder Than War …. AllTogether Now the Charity Record? Whilst any monies made will go to charity, being compared to other records out there is a little disingenuous to those involved in making this record (who fully understand what this record is about) & the truce soldiers of WW1. 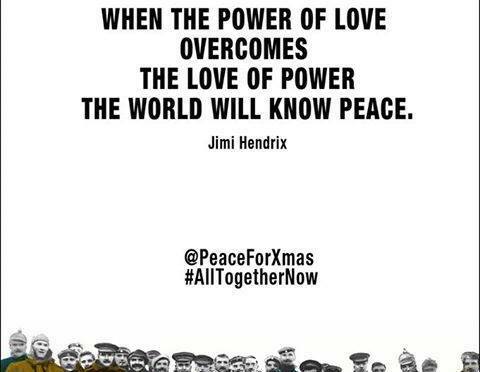 Sorry but All Together Now 2014 is more than a charity record, the song is and always has been an anti-war song, The Peace Collective are promoting a message (hence the name), we repeat that message daily, The Farm have been repeating it for the last 25-years, this song commemorates peace & those that chose not to fight on Christmas day 1914. It’s a tribute to those brave souls, English & German ordinary folk, who found they had more in common with each other than the aristocracy who sent them there to die. You cannot compare this to XFactor, Band Aid 30 or any of the other record being made in the name of, they are vehicles in aid of, whose purpose is raising money, the rights or wrong of, I will not debate here. All Together Now exists because of that moment Christmas day 1914, one of humanities greatest ever stories, I struggle to imagine the bravery of those men taking that first step into no man’s land, who were not only at risk of being shot by their supposed enemy, they risked being executed by their own country for fraternizing with that enemy. A spirit stronger than war was at work that night, humanity at its best in my opinion, with that in mind there’s a lot humanity can learn from those men on Christmas day 1914, that’s the message, that story is used now to educate and long may it continue, we’ve tried to keep it alive for 25-years enshrined in a song, you can do more with music than just making money, we can question & educate, demonstrate & challenge, therefore this is not just a charity record! We do not want money from this, however a consequence of selling records is that, if you sell enough, the record makes money, we do not want that money so we decided to give whatever monies are made to The Red Cross, who are normally the first in any war zone /global tragedy clearing up the mess governments make (they R+ do not have an ego that needs feeding unlike some!! ), and The Shorncliffe Trust who are trying to keep the memory of this event alive!! Be under no illusion as to why we are doing this! Maybe that’s why radio isn’t playing this record as much as it should, and some just want to pigeon hole it as just another Charity Record.. Myself and Johnny Milburn , AKA footyscene.com Music, attend the Festival each year and love doing so, our experience in 2015 will be enhanced by our mutual Love-In for all things Mr. Coyne. 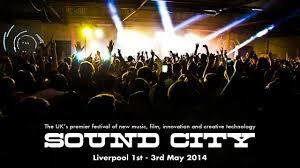 Liverpool Sound City international music festival and conference opens the 2014 festival season this coming May. In it’s seventh year the festival and conference will take over the city centre from May 1st to 3rd. In addition to 350 live bands over 25 stages throughout the city the conference programme has the business of music, football and style as its central themes. The organisers strongly believe these cornerstones of our city’s identity are so powerful, but still have a lot to learn from each other. Here at Footyscene.com we have known that Football and Music culture are almost inextricably linked and terrace fashion was effectively born of our fine city. The fact that such a prestigious event concurs with this view gets our thumbs up and it’s safe to say that we are eagerly looking forward to this years event. Liverpool Sound City is the largest metropolitan festival in the UK attended by some of the most influential music industry people in the UK. LCAB and myself attended last year and the conference programme was outstanding, discussions and debates with artists and industry experts including social media campaigner Jon Morter, particularly strong. Panels on the role of the fanzine and the intersect between fan culture on music and footy – again proved really revealing. 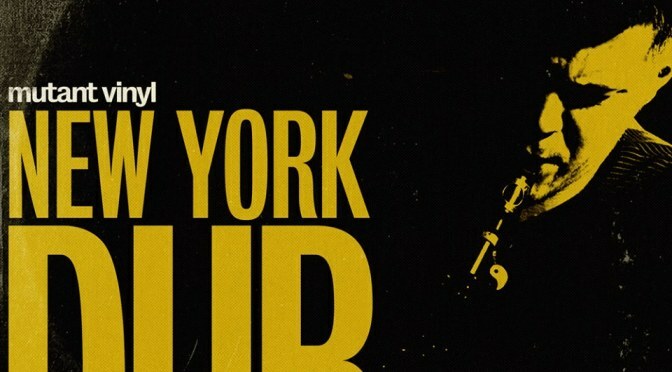 New bands are being added all of the time and whilst all the names may not be familiar to you now – believe me a large number will be in the coming months. 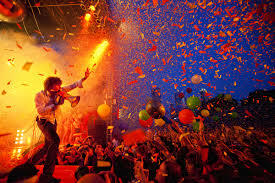 Last year artists booked for Sound City just on the cusp of breaking through to major success included The 1975, Bastille, Alunageorge and Savages. Relatively unknown at the time of booking but by the time the festival came around they were enjoying major mainstream radio rotation and all featured at Glastonbury just 8 weeks later! This year’s line up includes recent number one artists Clean Bandit, Kodaline and the amazing Drenge. Gruff Rhys will be making an appearance as will Doves front man Jimi Goodwin and the excellent The Hold Steady. I would heartily recommend seeking out the Liverpool Sound City playlist on Spotify – to get a flavour of what is in store and lots of acts who maybe you haven’t heard before. The music conference programme has pulled off a major coup in the bookings of Velvet Underground founding member John Cale and Thurston Mooore (Sonic Youth) both incredibly important in the development of counter-culture globally. This year Sound City have really beefed up the Conference programme to focus even more on our national sport and asking the lads from The Anfield Wrap to curate the football content. The full conference line up is not fully announced but so far the speaker line up includes James Corbett, major sports correspondent who amongst working for most of the broadsheets collaborated with Neville Southall and Howard Kendall’s excellent autobiographies. Former LFC and Premier League Chief Executive Rick Parry, who not only oversaw the creation of the premier league but also was tasked with taking a football institution into the 21st century. A period of stratospheric highs and almost catastrophic lows during his watch at Liverpool make this a compelling booking for fans of any club but particularly reds..
Jerome Champagne, FIFA presidential campaign candidate – the Parisian has held executive roles in FIFA since 99, before leaving in 2010 for a role in Palestinian football. Jerome will prove an enthralling speaker at this year’s conference. Check out the liverpoolsoundcity.co.uk website for updates on the growing list of announcements and follow @soundcity on twitter. The festival tries to encourage early booking and the prices rise as the event gets closer – Currently a 3 day live festival wristband will set you back £55 this grants you access to venues across the city and over 350 live acts. Footyscene recommend however if you can stretch to it go for the Conference and Live Festival Pass – this gets you full access to the Conference including the speaker programme mentioned and special access to private delegate bar and special late night parties – AND coffee and bacon butties each day in the Hilton! For £120 this represents great value. It’s a Bank Holiday weekend – and you can still take in Everton’s home game against Manchester City and make it into town for the final night’s shows leaving two clear days to recover. Last year we were blessed with beautiful weather but even if we are not all venues are indoors and not a spot of mud in sight – a festival, no wellies required and you get to sleep in your own bed! What’s not to like? This Interview is a first for footyscene.com We , I , have done Football Interviews before . Likewise Music ones . This though is the first to span both sectors . I therefore published it within Music Review as that is Jenn’s Field .